The consumers of alcoholic beverages and tobacco will from today (Monday) pay more for the products as the new excise duty rates approved by President Muhammadu Buhari in March come into effect. Following the President’s approval, Adeosun said that the new excise duty rate on tobacco was a combination of the existing ad-valorem-base rate and specific rates. 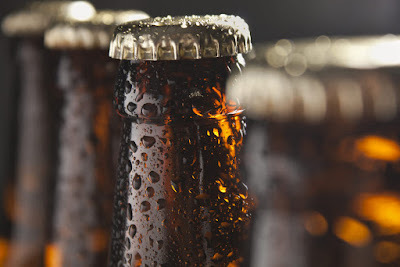 For alcoholic beverages, the minister added that the current ad-valorem rate would be replaced with specific rates and spread over three years to moderate the impact on prices. This, she noted, would curb the discretion in the unit cost analysis for determining the ad-valorem rate and prevent revenue leakages. Regarding tobacco, she noted that the government would maintain the current ad-valorem rate of 20 per cent. Under the newly approved excise duty rates for tobacco, she said in addition to the 20 per cent ad-valorem rate, each stick of cigarette would attract a N1 specific rate (N20 per pack of 20 sticks) in 2018; a N2 specific rate per stick (N40 per pack of 20 sticks) in 2019 and a N2.90k specific rate per stick (N58 per pack of 20 sticks) in 2020. The new specific excise duty rate for alcoholic beverages cuts across beer and stout, wines and spirits for the period 2018 to 2020.